At the end of the financial year one of my priorities was ensuring the completion of a number of special historic environment projects within Higher Level Stewardship Scheme Agreements in the National Park. Higher Level Stewardship is a Natural England funded scheme aimed at delivering significant environmental benefits on priority holdings where there are particular environmental interests. The National Park Authority has been helping to facilitate a number of these special projects, which usually involves the production of an archaeological management plan. The latter often leads to conservation works where they are found to be appropriate and necessary. 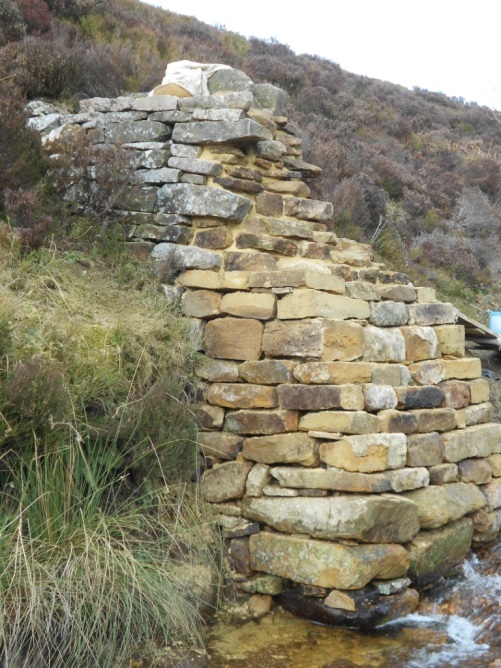 One of these special projects was focused on the Foord water races within the Bransdale Moor Environmental Stewardship Scheme. 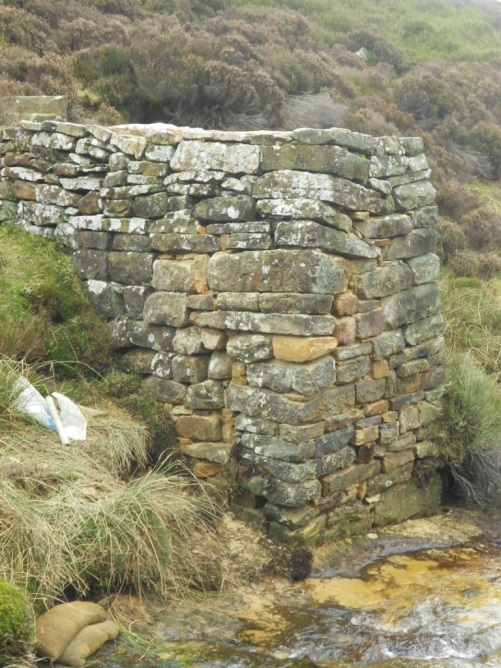 Joseph Foord was responsible for the construction of a number of water races (channels) in the 18th century to bring water down from the wetter moorland to the villages on the drier southern edge of the North York Moors. A number of the races can still be seen in the landscape today. The work in this case included surveying of the races by volunteers from the Helmsley Archaeological and Historical Society, the production of a management plan by Ed Dennison Archaeological Services Ltd and the conservation of the remains of an aqueduct (by Historic Property Restoration Ltd). The aqueduct carried a water race across Bonfield Gill. Another special project has involved an investigation of a particular wall in Glaisdale which contains built features called bee boles. 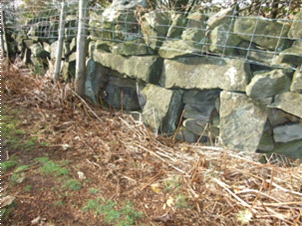 In this case the bee boles are lintelled indents in the drystone wall where it is believed basket bee hives were housed. The archaeological investigation by Archaeo-Environment Ltd was commissioned to better understand the remains prior to actual physical consolidation of the boles which should commence shortly. Study of the bee boles as part of this project has served to highlight just how important and unusual these structures are, and will govern the scope of conservation tasks that will be permitted. Elsewhere, on Wheeldale Moor, erosion repairs have been carried out to part of the ‘Roman Road’ damaged by waterlogging and erosion by sheep. There is some argument over whether this archaeological feature is either a road or from Roman times. This entry was posted in Historic Environment, Landscape, Local Community, North York Moors and tagged Archaeology, Bransdale, Built heritage, Glaisdale, Natural England, Wheeldale by North York Moors National Park. Bookmark the permalink.